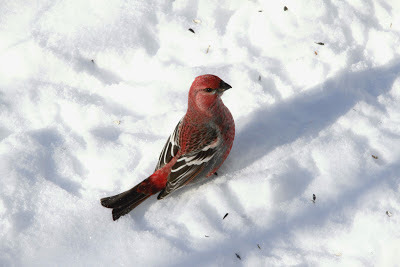 A beautiful male Pine Grosbeak. A couple weekends ago, Rob and I made the trip to Algonquin Park with our friends Jim & Lynda for our second annual Algonquin winter getaway. We had enjoyed ourselves so much last year we decided to make it an annual trip. The park was gorgeous as we arrived, fresh fallen snow from the storm the day before had left everything snow covered and the park sparkled. 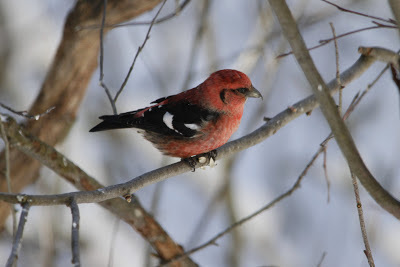 Just like last year, Rob and I had lifers as soon as we checked out the visitor centre feeders with Pine Grosbeaks, a winter wish bird for both of us. 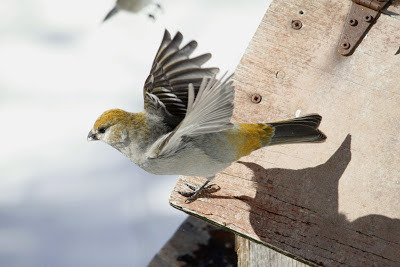 Female Pine Grosbeak ready for lift off. 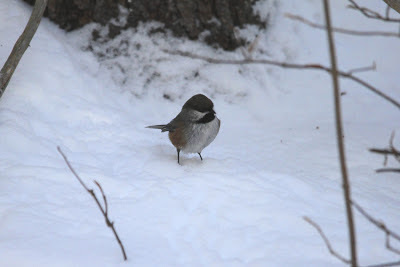 We enjoyed the Spruce Bog Trail after our first stop at the visitor centre and had some good sightings. We all had great looks at a Boreal Chickadee. 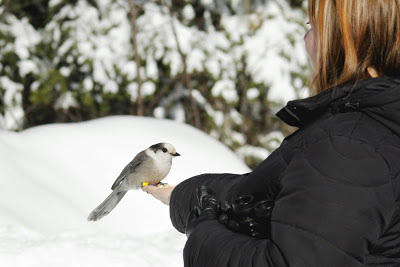 Love hand feeding the Gray Jays! Our second visit to the visitor centre to warm up and have some lunch offered up another great bird. Our best looks yet at a male White-winged Crossbill. 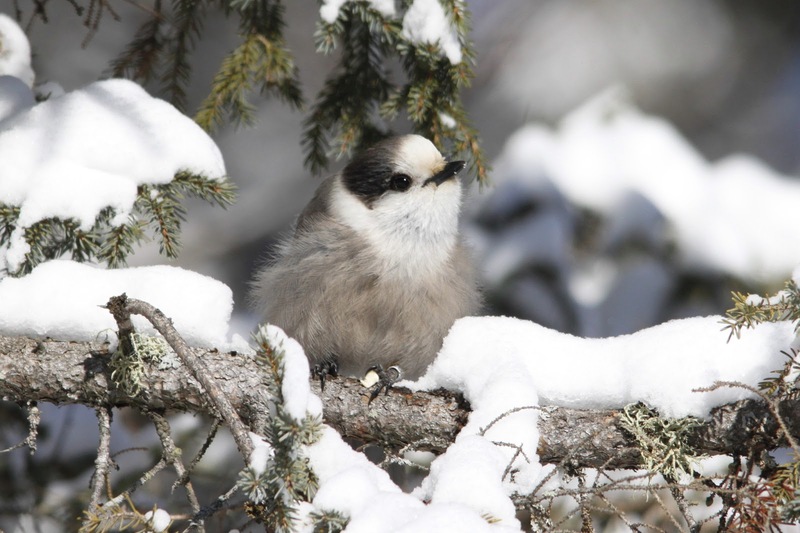 Later we walked up Opeongo Road and had saw some more Gray Jays, Chickadees, Nuthatches, Blue Jays and a very special little Chickadee. We were all thrilled to see the"leucistic" Black-capped Chickadee from last year. We spent the night in the nearby town of Dwight and enjoyed some great baking from Henrietta's Pine Bakery on both Saturday and Sunday, a stop here is now a must! 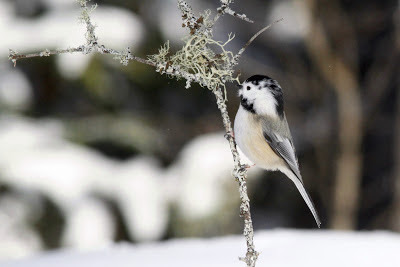 It was another great trip.